Details. I love them. I like to collect them and roll them around in my mind like a handful of marbles. Around and around and around. It's mesmerizing and engrossing. Six lovely questions--who, what, when, where, why, and how--help me manage and organize details. Those questions generate more questions, which translates to more details to keep track of! 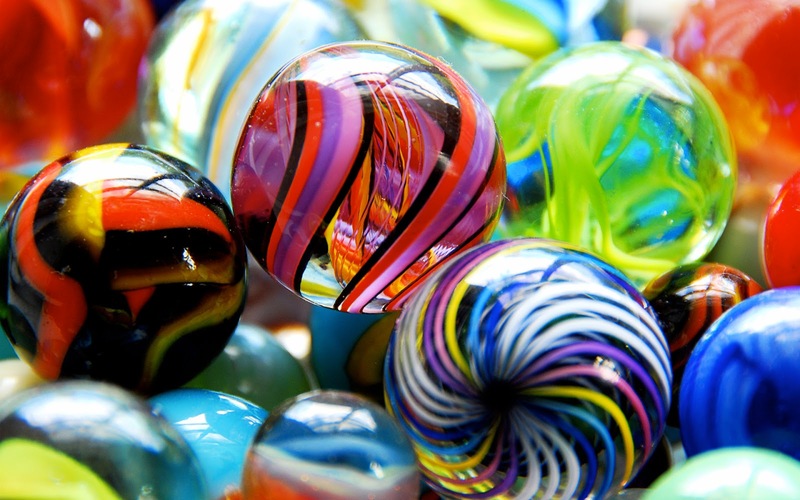 In May, three solid weeks of rolling marbles created detail overload. You could say I momentarily lost my marbles. There were so many details I wanted to understand so that I could make sense of what was coming. What I really mean by that is that I wanted to know what was coming so that I could manage my response to each situation. 1. If I could manage the details, I would be know what to expect. 2. If I could know what to expect, I could anticipate how I would feel. 3. If I could anticipate how I'd feel, then I wouldn't be helpless. Be still and know. You need to know Who I am more than you need to know details. But I want to know. Why can't I know? You wouldn't be still if you knew. Why do You want me to know that? Because You can't control Me like you think you can those things you want to know. I worked on the "be still" part by studying what it means. (Yes, I was looking for some kind of loophole.) In Hebrew, the word for that phrase is raphah. Raphah means to slacken, to cease, to let alone, to stay. When I pictured what it would look like for me "to slacken" my hold on details, I immediately imagined my hands slowly releasing the deeply wrinkled lapels of a man's suit, smoothing the fabric in an attempt to apologize for seizing it so tightly. Guess that was a clear indication of how tightly I was wound, huh. I needed what God had for me in this exercise. Raphah also means healing. Somehow by being still I thought health and balance would return. It wasn't working. I wasn't experiencing relief or healing like I thought I would. I had a feeling it was because I was avoiding the second part of God's prescription: know that I am God. I took some time to think about how I would embark on yet another earnest quest to know God. I've been trying to know God for as long as I've been in relationship with Him, which is about 45 years. I've tried gathering up all the details about Him I can find. I've rolled them around and around and around in my head, trying to make sense of Him. Sometimes, it works. Sometimes, it doesn't. The only way that seems to work is to let Him make Himself known to me, let Him take control the process. Like He was doing now. Oh. I still felt like I was back to square one. How was I going to be faithful to the second half of that verse? When I talked this through with my husband, he pointed out that the verse didn't say "know God." It said, "know that I am God." The rolling marbles slowed and my frazzled mind was soothed a bit. I already know that and believe that. Perhaps what I need to acknowledge is that He knows and manages the details better than I ever could. Probably has something to do with Him being sovereign and omniscient. I'm still wrestling with my desire to know all the details, but I'm learning to let go and trust God with the marbles.